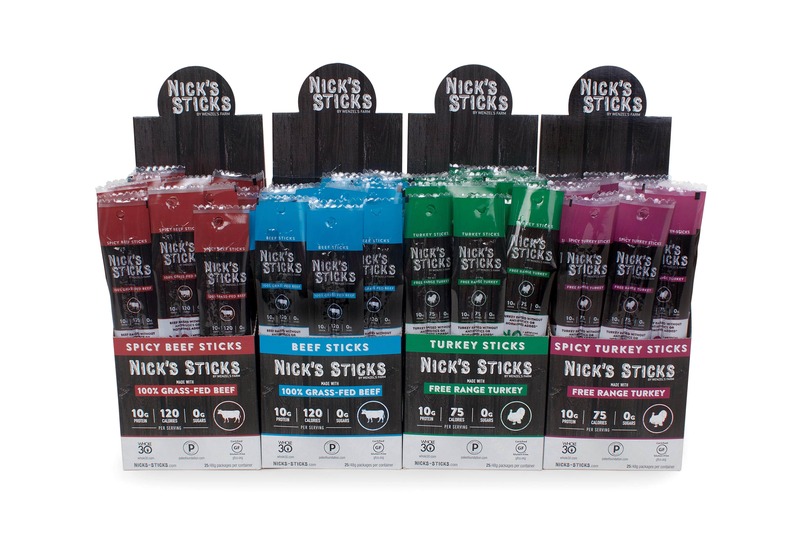 Nick's Sticks are all-natural grass-fed beef and turkey snack sticks created by Nick Wallace of Wallace Farms. No MSG, no fillers, just cows and turkeys raised on grass. Paleo Certified, Whole30 approved, Keto Friendly, Gluten Free, Dairy Free. In 2005, Nick Wallace went back to the land to farm the land his great-great grandfather farmed. Nick's Sticks: Grass-Fed Beef Sticks and Pasture Raised Turkey Sticks. Great for CrossFits, fundraisers, coffee shops, etc. 100% Shelf stable. Nick’s Sticks, a Castleray company, and premium producer of grass-fed beef and free-range turkey meat snacks announced a fresh new look to mirror the company’s continued growth and evolution in the grass-fed market.